This book provides expert tips for using Java-based utilities from projects such as Apache Commons, Apache Lucene, and Apache Velocity. You don't have to be an expert, the book's solution-based format contains code examples for a wide variety of web, XML, network, testing, and application projects. 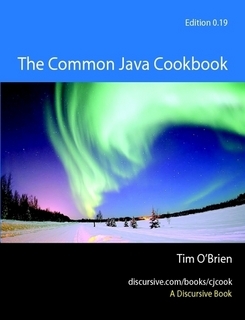 If you want to learn how to combine common open-source Java utilities to create powerful Java applications and tools, the Common Java Cookbook is for you.